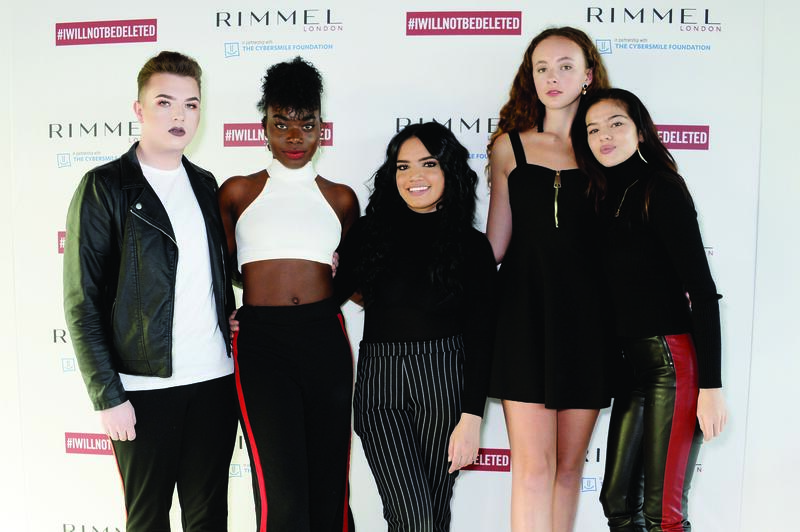 The cosmetics brand Rimmel London, part of the global beauty company Coty, launched its new “I WILL NOT BE DELETED” campaign. Rimmel Brand Ambassadors Cara Delevingne and Rita Ora were joined at London’s Mondrian Hotel by a star-studded group of supporters passionate about the campaign’s messaging. 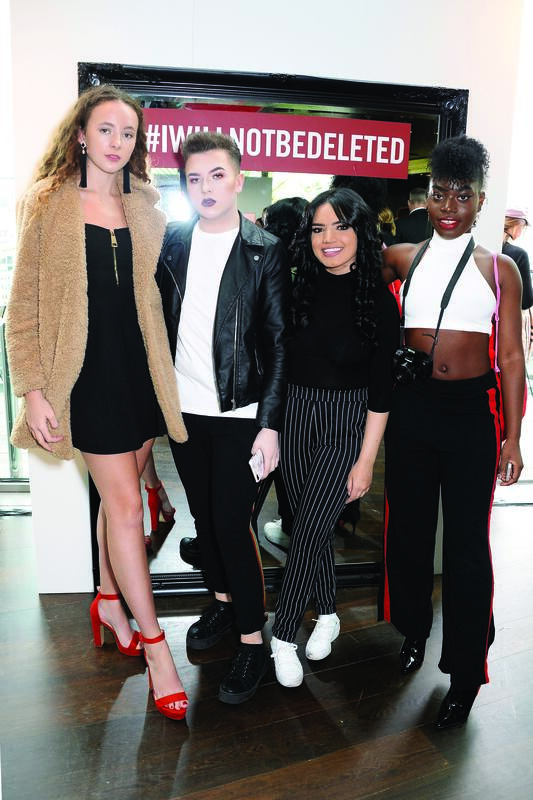 The #IWILLNOTBEDELETED movement is intended to tackle the issue of beauty cyberbullying while celebrating self-expression and individuality, promoting diversity of beauty, and fighting prejudice and discrimination. The event featured a panel discussion moderated by TV and radio presenter Gemma Cairney, on the powerful impact of beauty cyberbullying. “Designed to spark a worldwide conversation around the growing problem of beauty cyberbullying, the media event featured an inspiring panel of campaign cast members, Rimmel brand ambassadors as well as senior members of the global Rimmel team at Coty, and charity partner The Cybersmile Foundation who discussed the importance and scale of the issue whilst sharing their own personal experiences,” according to a press statement. LONDON, ENGLAND – OCTOBER 23: (L-R) Joanne Dion, Anthony Pius, Chessie King, Cara Delevingne and Rita Ora pictured at the launch of #IWILLNOTBEDELETED campaign by Rimmel, part of global beauty company Coty, to tackle the issue of beauty cyberbullying. The campaign is part of Coty’s commitment to promote diversity of beauty and fight prejudice and discrimination, at Mondrian Hotel on October 23, 2018 in London, England. During the panel, cast members Chessie King, Joanne Dion and Anthony Pius each revealed their own personal experiences with beauty cyber-bullying, and shared how they have worked to overcome the negative side effects of hurtful comments through self-empowerment and confidence. Rimmel’s mission is about inspiring others and championing self-expression in beauty, and this is the latest step in the company’s campaign. 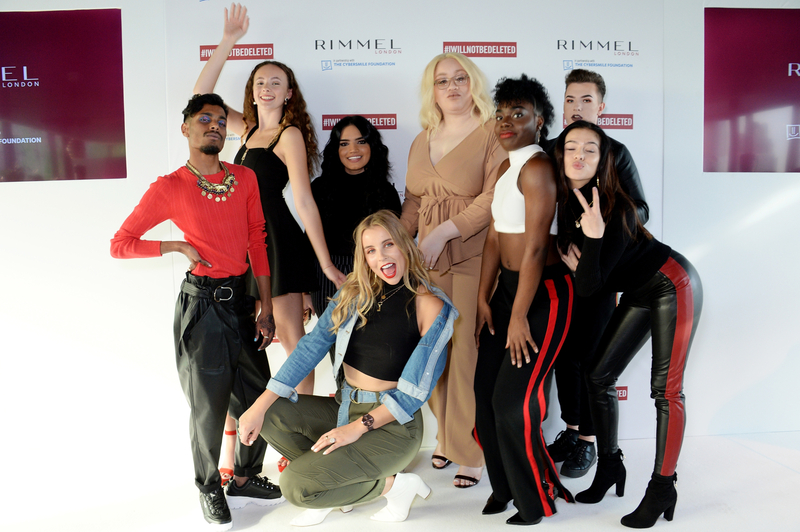 Click through the gallery below to see star photos from the Rimmel London I Will Not Be Deleted campaign launch in London. 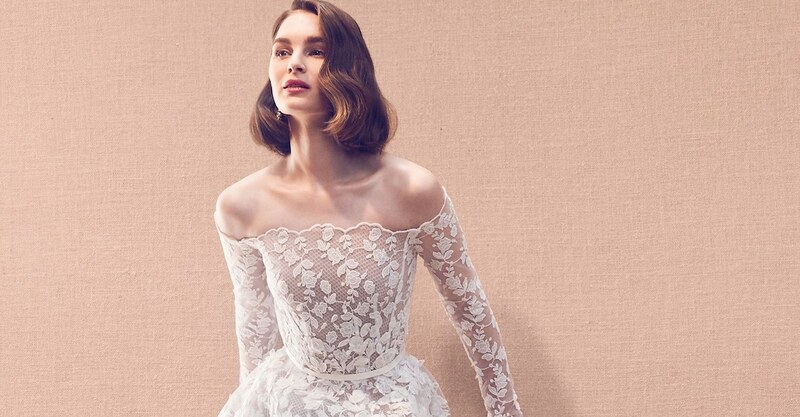 More new makeup campaigns to check out. More beauty news from model Cara Delevingne.